Toddlers love to make a mess, and it’s good to know that little Prince George is no exception! 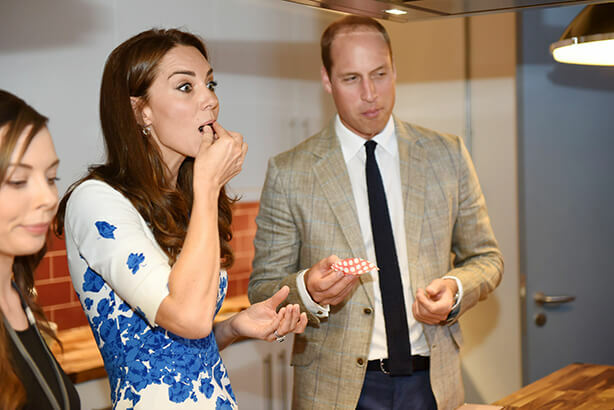 During a recent charity visit, the Duchess of Cambridge offered a rare insight into her family life, and said that baking with her three-year-old son Prince George is “chaos”. 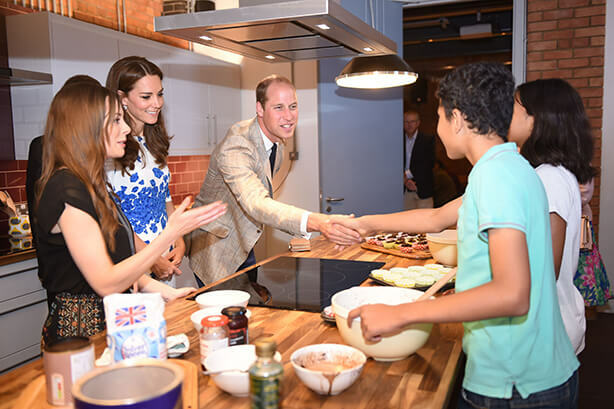 Kate was visiting Youthscape charity in Luton with her husband Prince William when the couple were invited to watch a baking demonstration. Some of the teenagers who are supported by the charity were busy cooking up some tasty chocolate crispie cakes featuring margarine, sugar, golden syrup, cocoa powder, drinking chocolate and Rice Crispies. “This smells seriously good,” the 34-year-old Duchess told the group of young people. “When I try to do this with George at home, chocolate and the golden syrup goes everywhere. He makes so much mess. It’s chaos,” she continued. Kate also opened up about her childhood. Approaching a group of young people who were playing the card game UNO at the charity’s new centre, she revealed that it was one of her family’s favourite games and that she used to frequently play it with her brother James and sister Pippa. Later in the day, Kate and William visited Luton’s Keech Hospice, a hospice for adults and children. William and Kate visited the children’s unit where they met Joanie Dow, four-and-half, her mum Suzanne Dow and Keech play specialist Jennie Collier in the sensory play area. The warmly-lit room has shells, coloured spaghetti and other tactile toys for children. Suzanne said about Kate: “She said ‘George likes his spaghetti as well, he’d love to get messy’. They were asking about Joanie’s condition, if I had any more children and what Keech means to us.